On Wednesday 6th February, Key Stage 2 pupils took part in the annual Verse Speaking Competition. Every pupil chose a poem and showcased their amazing talents as they auditioned in class. Two pupils from each form were chosen as finalists who later that day performed a short poem to all of Key Stage 2. The competition is all about bringing poems to life, celebrating how good they sound out loud and performing them with fabulous expression, which the finalists certainly did! 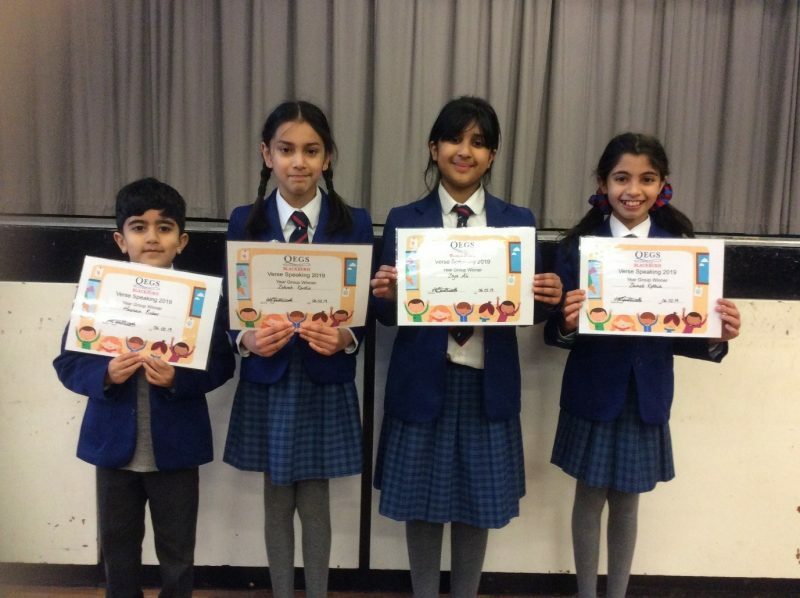 Well done to the following Year group winners; Hasnain Babar (Year 3), Zahra Karolia (Year 4), Zoeya Ali (Year 5) and Zainab Kothia (Year 6). 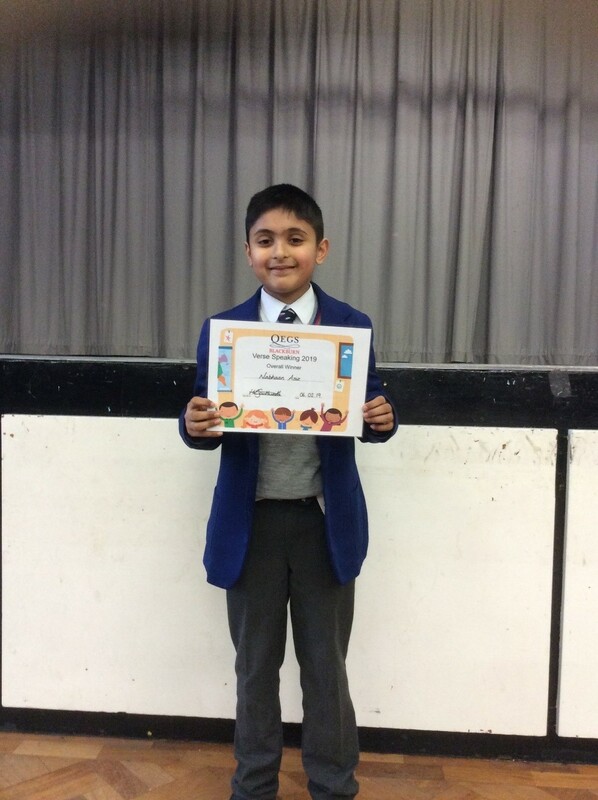 The outstanding talent impressed all of the staff and pupils, congratulations to Nabhaan Aziz, who was the overall winner of the competition. Well done to all of the pupils and finalists who performed, they all worked very hard to learn and perform their poems in front of their peers, it was an extremely enjoyable afternoon.